José María Torrego has a degree in Journalism from the Francisco de Vitoria University and a master’s degree in Marketing and Business Management from the ESIC Business School. He began his professional career collaborating in the national newspapers La Razón and AS. In March 2009, after working in his family business, Torrego decided to start the newspaper El Referente. 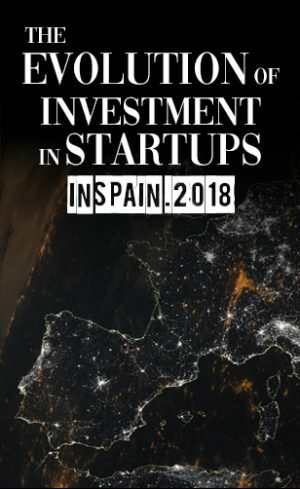 In his capacity as El Referente’s Director, Torrego is responsible for having pivoted the newspaper towards making it a reference publication in Spain for entrepreneurs and startups. Users can compare prices and coverage of the top insurance companies and quickly and easily subscribe an insurance policy either online or by phone by talking to one of the more than 60 advisers. FUDEAT is a curated corporate catering marketplace that allows customers to browse, compare and book different caterers booking a quality service. Clicpiso, founded in 2017 by Francisco Moreno, provides the user the guarantee of immediacy and transparency of payment in the face of a real estate sector that tends to hamper such transactions. APEC (Psychological Support at Home, Apoyo Psicológico en Casa in Spanish) is a social enterprise that intends to change the way we understand psychology. Dietox is the pioneer company in Spain for the realization of detox therapies based on healthy food: vegetables, fruit, legumes and cereals, among others. Founded by Javier de la Torre and Sergio Alvarez in 2012, CARTO is a leading location intelligence software headquartered in New York, with offices in Madrid, Washington, London and Estonia. Its portfolio of 2,000 customers includes BBVA, BCG, New York City and Twitter and it counts with over 300,000 users around the globe.